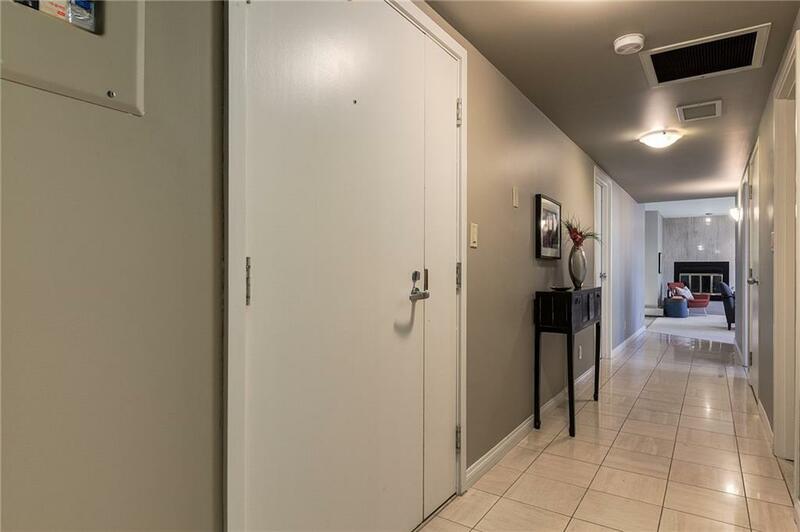 Lovely 2 bdrm & 2 full bath suite on the 2nd floor w/sunny south facing balcony PLUS a SUPER LARGE Private 2nd Patio (258 x 145) overlooking the courtyard! Beautiful new kitchen w/white quartz countertops, deep stainless steel sink, stainless steel appliances & glass tile backsplash, fabulous new ensuite bath w/double sinks, spacious 2 person glass shower & recessed lighting. 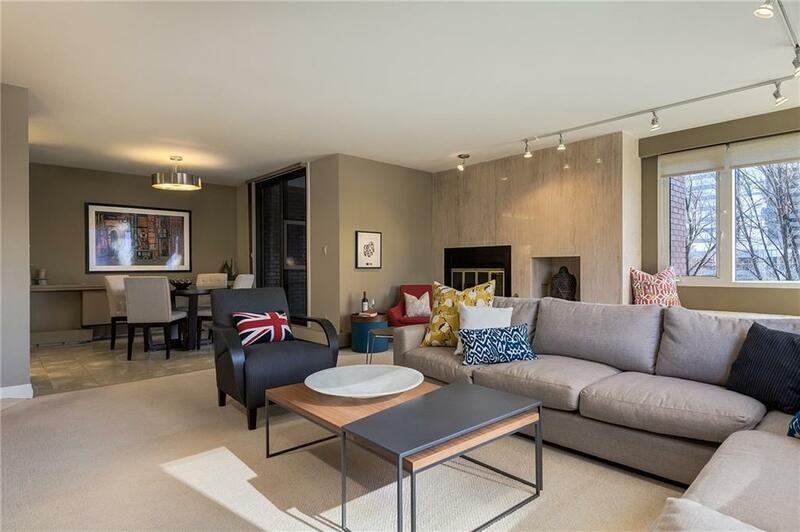 The living room is very spacious & offers a wood burning fireplace, corner windows, separate dining area & sliding doors to south facing balcony. Large master with tons of closet space, too. At 1338 SF this lovely floorplan offers all the space you need! Condo fees cover everything incl. electricity & basic cable! 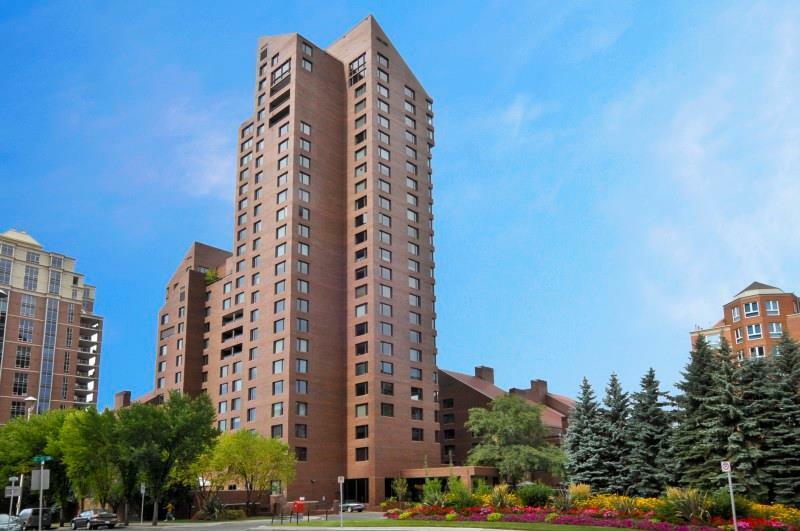 Building amenities: concierge service, indoor pool & spa, fitness facility (all recently renovated! ), car wash bay, huge south side patio, magnificent courtyard & outdoor garden planters for residents. 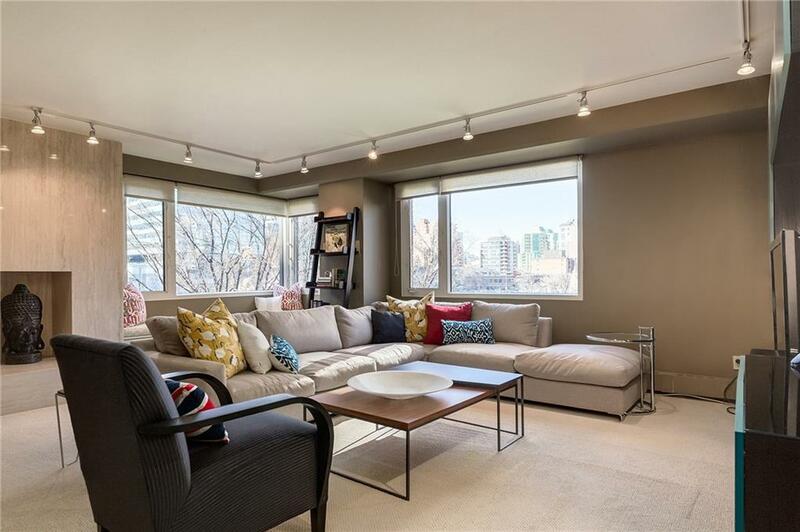 All on the banks of the Bow River with pathways, restaurants, shops, services & the DT core just outside your door.